Following my vacation reading hot streak, I hit a streak of DNF’s before finally settling in with an outstanding memoir last week! 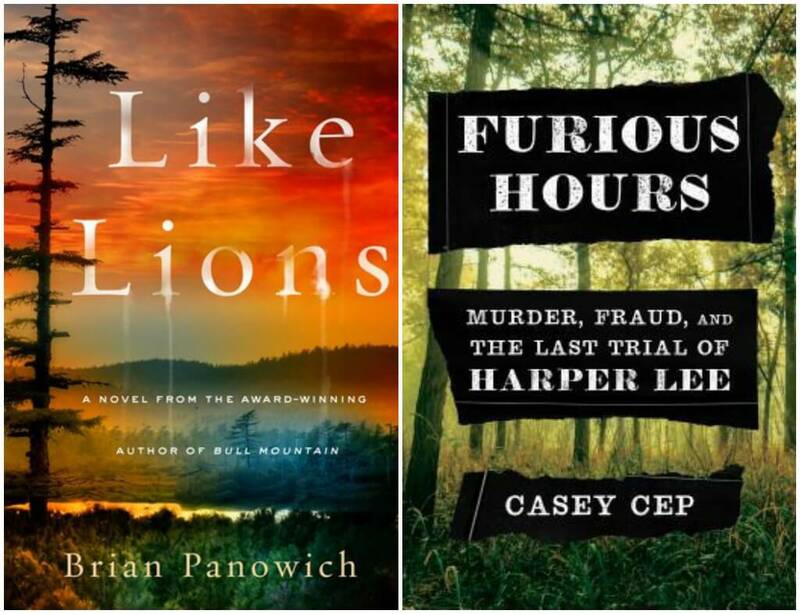 I’m focusing in on potential candidates for my 2019 Summer Reading Guide, which is coming in mid-May! And, I’m listening to I Miss You When I Blink by Mary Laura Philpott on audio…and, yes, I just read this in print form!. I’m listening to it on audio to refresh my memory because Mary Laura is coming on the podcast! I’d love to ask her some questions from my readers / listeners, so if you’ve read this one, please leave any questions you’d like me to ask her in the comments section or feel free to email me at sarahsbookshelves@gmail.com. Episode 14, featuring Lindsey J. Palmer (author of the February 2019 novel Otherwise Engaged), aired last week. I’m trying to have more authors on the podcasts since hearing that from you in my Reader Survey! Episode 15, featuring the book and travel blogger Christine from The Uncorked Librarian is coming on Wednesday. 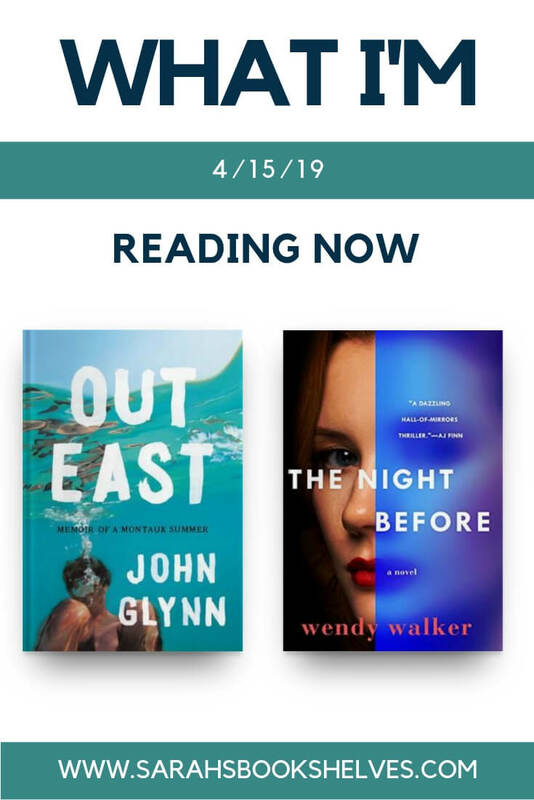 April 2019 Books to Read (and Skip)…April releases were outrageously good, so don’t miss this post! Q1 Update: My Best Book Recommendation Sources…the start of the race to be my #1 recommendation source at the end of the year! This coming of age / coming out memoir set in a Montauk share house is so much more emotional than you’d expect from a summer share memoir. I immediately started stalking Glynn’s instagram after finishing to find pictures of all the people in the book and some clue as to his current relationship status. I loved Wendy Walker’s last thriller, Emma in the Night (it’s the only thriller other than Gone Girl I’ve ever rated 5 stars). I’m only about 20% through it, but it’s so far not blowing me away like Emma did. We’ll see how things progress. I’m so sad about this sequel to the 2015 Grit Lit thriller Bull Mountain that I absolutely loved. I already shared my thoughts on why I DNF’d here. Another DNF I’m so sad about. True crime about Harper Lee trying to write an In Cold Blood style book about an Alabama minister who was killing his family for insurance money sounds fascinating. But, the writing was dry and there were numerous long, historical background tangents that were boring and unnecessary for the story. Annie Jones loved this family novel set at a wedding. Also, I’ll read any book with that premise. 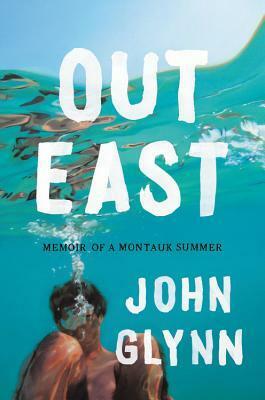 Out East sounds like my kind of book! 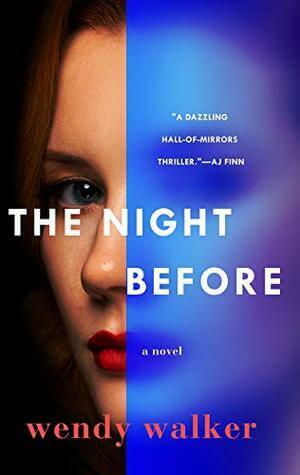 The Night Before seems like a promising thriller. I hope you are enjoying it. I didn’t know that The Night Before was also written by the author of Emma in the Night! Not that I’ve read either yet haha. I’m disappointed but not surprised about the Harper Lee one. Glad to hear Out East was so good. I feel like I haven’t read a really great memoir in awhile. I think I’ll wait for it to come out on audio. The two you DNF’d weren’t even on my radar, so I’ll continue to ignore them. Thanks! 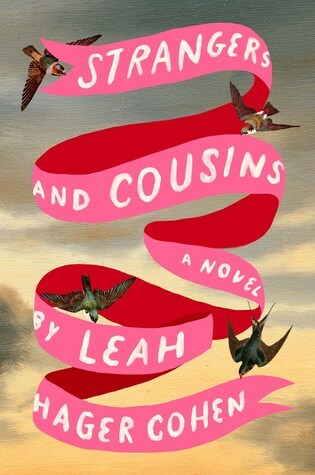 Strangers and Cousins is another one I hadn’t heard about, but I also love that premise, so I’m off to check it out. I’ve been eyeing The Night Before…and did love Emma in the Night, too. Bummer on Like Lions. Out East sounds really good. Yesterday I finished The City in the Middle of the Night by Charlie Jane Anders: weird in a good way! Now I am reading Nineteen Minutes by Jodi Picoult for a reading group. I really don’t like her but I am a loyal member who always reads the book. At least she keeps me turning the pages. I am definitely going to check out The Night Before and Emma in the Night. I am bummed about the Harper Lee book because that sounded like a good one!